How To Protect Your WordPress Blog From Hackers. Traffic Token – Conversions are still up to you. Ray Higdon Interviews Ryan Gunness. TopSurfer.com Drops PayPal. Implements More Options. 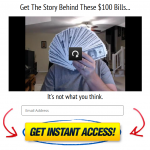 What Works Best To Get More Downline Member Signups?